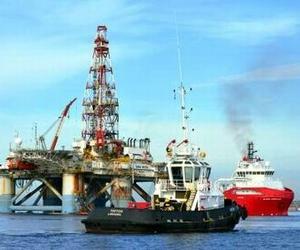 The drilling rig Songa Mercur (mid-water semisub) is departing Cuba for Vietnam after failing to find oil, AFP reported on Tuesday. Drilling work in Cuba was suspended because of a problem-plagued exploration well, and the start of the hurricane season, reported the state-run Agencia de Informacion National (AIN). Songa Mercur was drilling in shallow waters in the central Cuban province of Ciego de Avila about 370 miles east of Havana. Drilling is expected to recommence on the same spot, Block L, early next year. Russian firm Zarubezhneft, operator of the drilling rig, has been searching for oil off Cuba’s coast but its plans were derailed by "geological problems" as well as problems with its rig, which at one point lost its blowout preventer, AFP reported. "Taking into consideration geological complications, Zarubezhneft and (Cuban state oil company) Cubapetroleo have jointly decided to make changes in the initial drilling program by dividing it into two stages," the Moscow Times reported the company as saying at the end of last month.